(this moment) - A Friday ritual. A single photo - no words - capturing a moment from the week. A simple, special extraordinary moment. A moment I want to pause savour and remember. If you're inspired to do the same, leave a link to your "moment" in the comments for all to find and see. Thank you Lyssa - there is nothing better. Oh don't they smell special - nothing like it really is there. 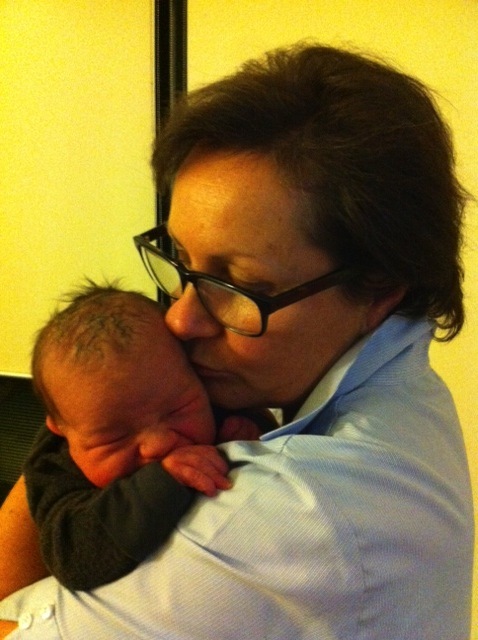 Yes after much ado he arrived and he is gorgeous and very good already doing all the right things for his mum and dad! Just a shame they can't stay like that! I know - he is isn't he. I could eat him up! OOh how gorgeous...what a moment! He's beautiful. I know you will cherish this moment for ever. He is very precious and was born by a Strawberry Moon - how lovely is that.